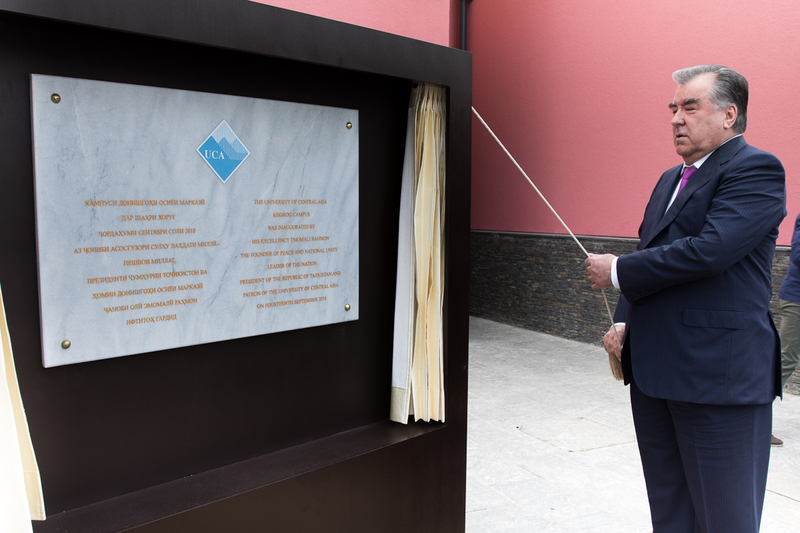 President Emomali Rahmon unveiling the plaque inaugurating the Khorog Campus of the University of Central Asia. 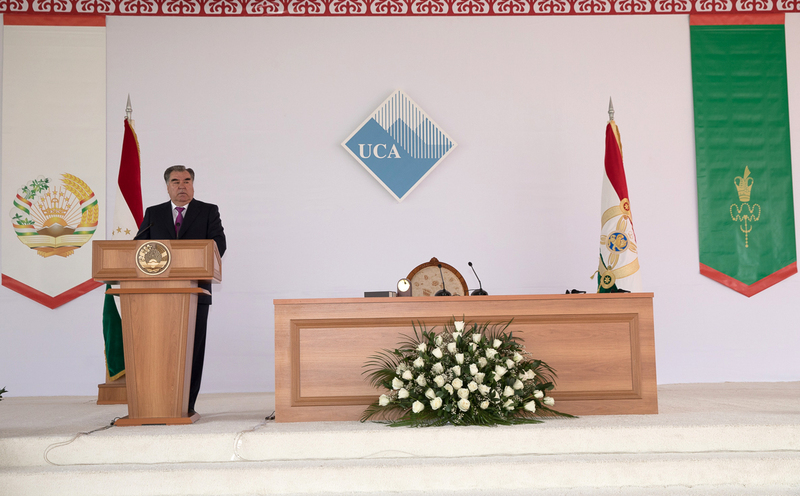 President Emomali Rahmon addressing the gathering at the inauguration of the University of Central Asia’s Khorog Campus. 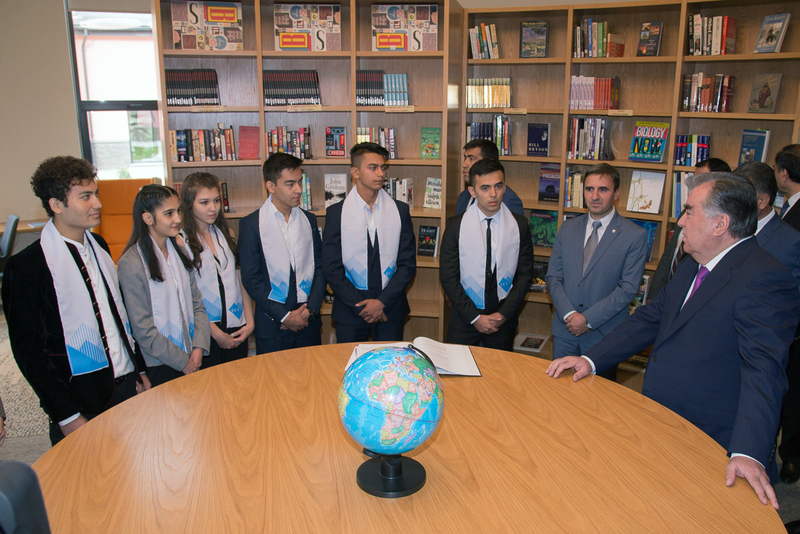 President Emomali Rahmon speaking with students in the Library of the University of Central Asia’s Khorog Campus. 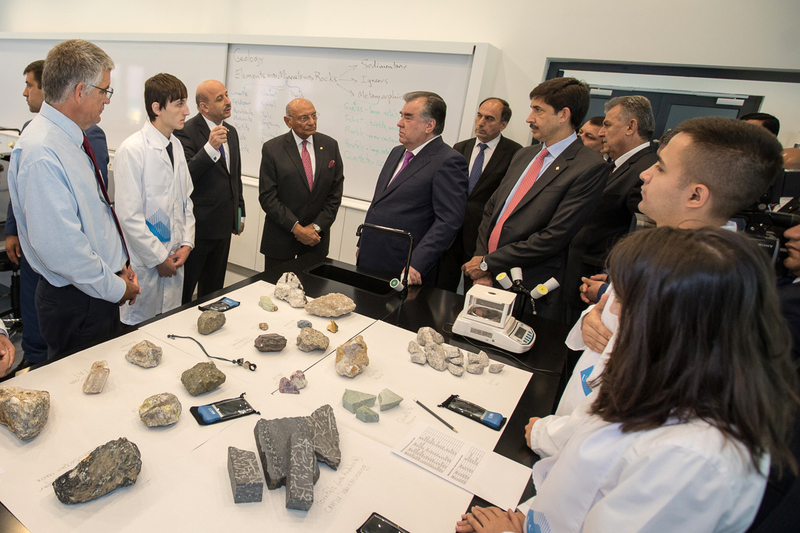 The Faculty in the Department of Earth and Environmental Sciences explain a student project to President Emomali Rahmon.